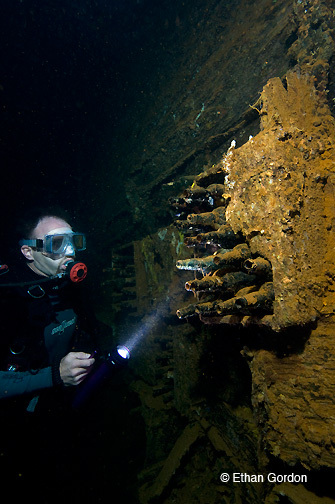 Caption: One of the Rio de Janeiro Maru's cargo holds was filled with beer bottles when she sank. Now resting on her side, the beer bottles form a precariously balanced wall of glass and wood. Diver Carl Perron investigates.